As I was stuffing the kimchi we got from Korea restaurant in Düsseldorf in my giant American kimchi jar (N.B. when storing, you have to pack kimchi tightly and eliminate any air pockets for optimal preservation and leave space for expansion during the fermentation process), I was thinking of all the great things I could make with fermented kimchi. Of course, the best thing to do with a jar of fresh kimchi, in my opinion, is to eat it. Sometimes the jar doesn’t get a chance to ferment much in my house, which is fine by me since my preference is for fresh kimchi. I like the salad-y freshness rather than the pungency. It’s like the difference between Weißkraut Salat, which is more like a vinegary cole slaw, and the more commonly known Sauerkraut, which is, you know, sour. I do though love all of the dishes that you can make with some fermented kimchi. It’s like a flavor bomb able to transform an ordinary dish to something unforgettable or play the essential basis of a variety of favorite Korean dishes. Fry it. Start by frying it and you can go in various directions from then on. You can fry kimchi and have it as a spicy side dish. Fry with sesame oil, you can add some gochujang and garlic to boost the flavor. Some kind of pork (neck or bacon) tastes awesome with fermented kimchi. Tuna has become kimchi’s new BFF in the past decade it seems too. When I was cooking more vegan, I also added mushrooms, and that works great. The other classic pairing is tofu. 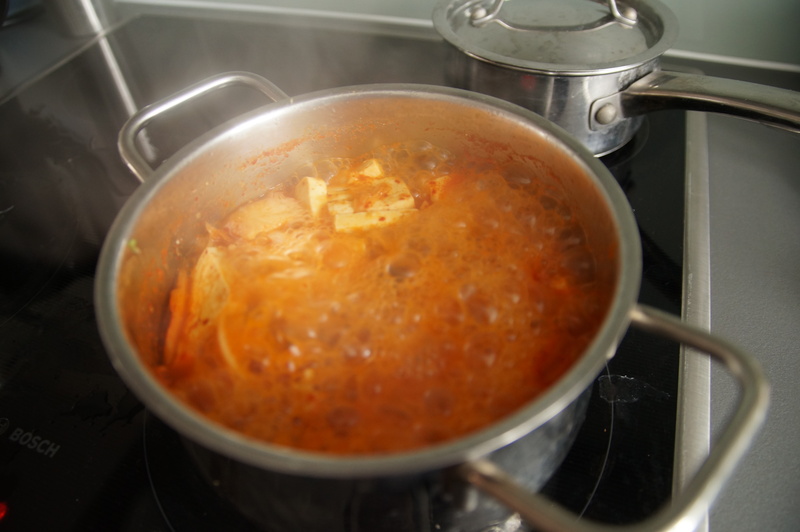 Add a little bit of water for kimchi stew, or add more for kimchi soup. 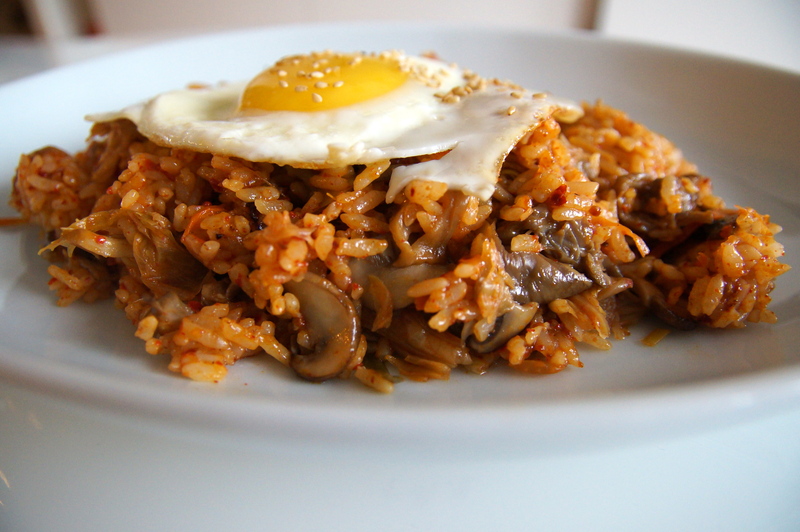 If you fry it with rice to make kimchi boggeombap and add a fried egg on top, you realise that you don’t need much more to live a happy life as long as you have a jar of kimchi. Make dumplings. Pair kimchi again with its soul mate, pork, wrap it up in a thin circle of dough and fry it. This is Corey Lee’s cleaned up version, complete with wine pairing, of this timeless classic. I also made a vegan version. Throw it in soup. It’s amazing how adding a handful of chopped kimchi in a soup like dwenjang jjigae can add an enhancement in an already packed powerhouse of flavor. Here’s a vegan version, but I admit that I like the stew with anchovy broth. I don’t even think you need to add beef. Add it to your Bibimbap. Yes, it will make your bowl of rice spicier and more flavorful. You might want to dial back the gochujang that you would otherwise mix in. Just squeeze out excess juice and chop it up. This works great with fresh kimchi too. For more gringo friendly recipes, check out this post on The Kitchn. Tags: Aeri's Kitchen, Beyond Kimchee, bibimbap, bindaeddeok, doenjang, doenjang jjigae, expatkimchi, fried kimchi, Fried kimchi rice, Jane, kimchi, kimchi and pork, kimchi and tuna, kimchi jeon, kimchi jjigae, kimchi pancakes, Kimchi soup, kimchi stew, Korean Bapsang, Korean pancakes, leftover kimchi, maangchi, recipes, sour kimchi, The Kitchn, too much kimchi, vegan, vegan Korean, vegan Korean dumplings, vegan mandu. Bookmark the permalink. 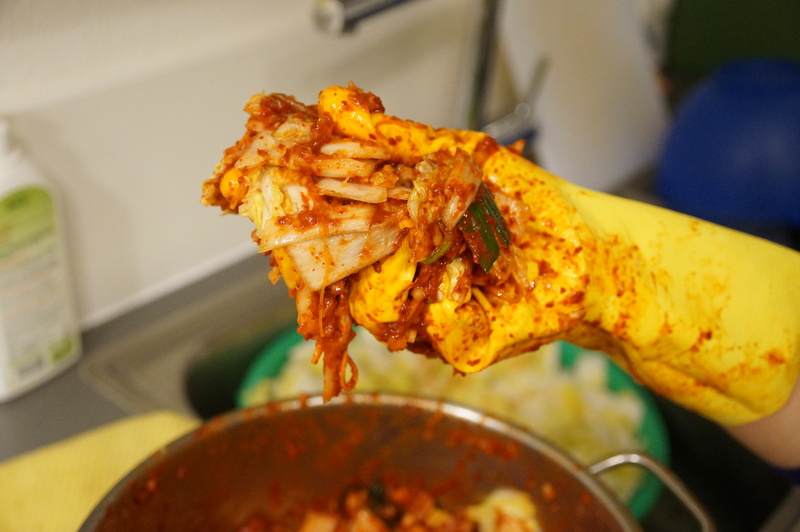 Loved this post – because I just love kimchi! I need to find a decent asian shop near me to see if they sell it. Hope you find a good jar soon. Otherwise, perhaps it is time to pull out the marigolds and try making it yourself. haha. In my heart, I am thinking, no way! Buy it if you can.